This section presents the Coveo Platform features introduced during the year 2015 of interest for the administrators. Note: You can also refer to the latest new features, the new features of 2014, and the new features visible to end-users (see What's New - For Coveo Platform Administrators, Coveo Platform New Features of 2014 for Administrators, and What's New - Feature Spotlight). The connector now supports the Zendesk security model. In a Coveo search interface, your Zendesk users will only see the content to which they have access in the Zendesk customer support website. The Zendesk source incremental refresh is now supported and periodically queries Zendesk for the latest edits, keeping the index content up-to-date. The Outlook Sidebar of the Desktop Integration Package (DIP) can now be integrated in Microsoft Outlook 2016. 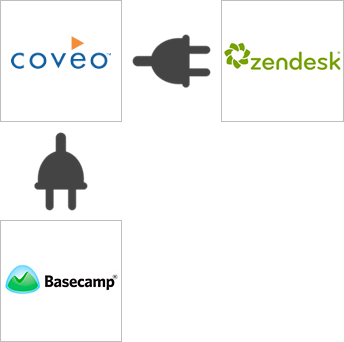 You can now use new Coveo connectors to index a Basecamp account and a Zendesk customer support website. Your users can now efficiently access your customer support and project management content. 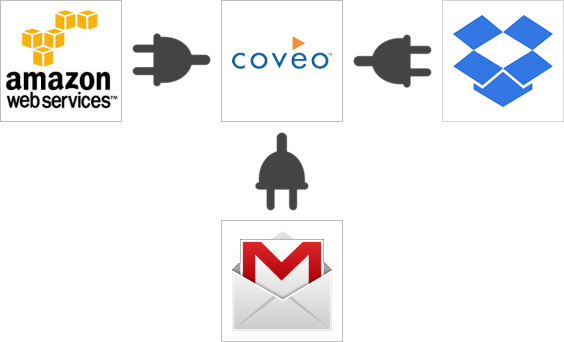 You can now use new Coveo connectors to index content from Dropbox for Business and Gmail for Work (Google Apps) accounts, as well as Amazon S3 buckets. Your users can now efficiently access their file storage and email content. The connector now supports indexing of KB Articles (including their comments) and child entities such as QueueItem or OpportunityProduct. The incremental refresh can now catch out-of-the-box attachments modifications (addition, edition) without having to perform a source full refresh or rebuild. You can now refresh a single record or a single entity record, as well as delete them directly from the Index Browser without having to perform a source full refresh or rebuild.